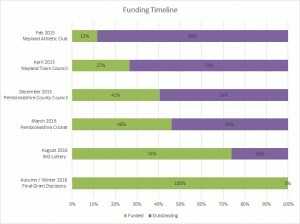 With the Lottery award confirmed we now have more than £1,300,000 committed to the project and we’re on the cusp of making the Hub a reality. Our first commitment to fund was made more than 18 months ago now, right at the start of 2015. 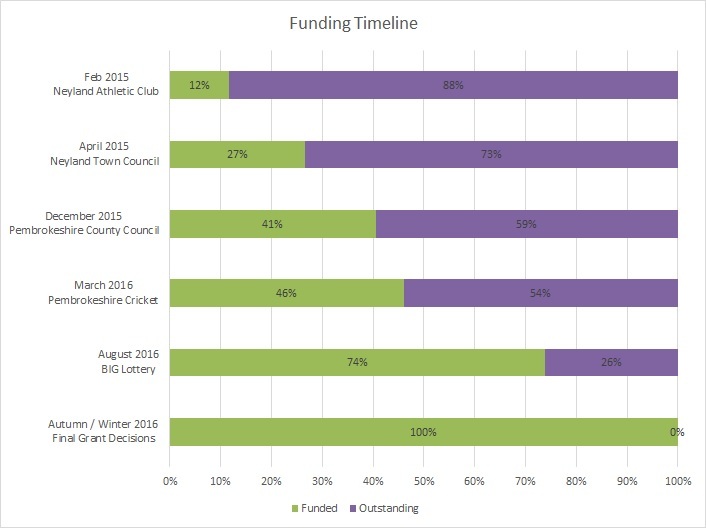 Since then, we’ve been working flat out to secure further funding and the chart above shows you how we’ve progressed to the point where today we have nearly 75% of the funding committed. In recent months we’ve made progress too, on getting the site ready. The rugby pitch move has finally been completed this week, with the posts now in their new position ready for the 1st game of the 2016-17 rugby season. All in all, while we’re not there yet we’re closer than we have ever been to making the Hub a reality. There’s a lot of hard work still to come, but for now, everything remains on track for us to finally start on site in the new year – 15 years after a new Athletic Club was first mooted.